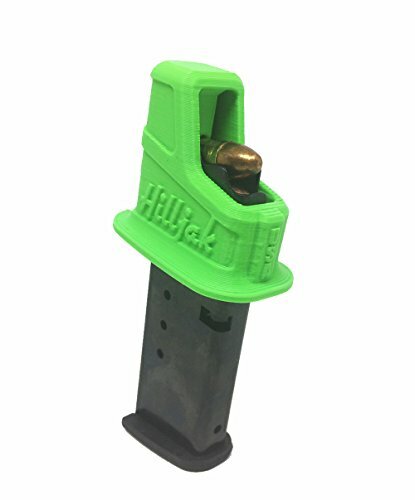 The Hilljak Quickie Loader is a universal magazine loader designed to fit Taurus PT 709 9mm single-stack magazines. The Quickie Loader features an ergonomic form factor and provides superior comfort, speed and design! Made in USA of 3D printed polymer plastic. Get Loaded Quicker! Note: magazine is not included. Hilljak Quickie Loader makes it easier to load - Get Loaded Quicker!